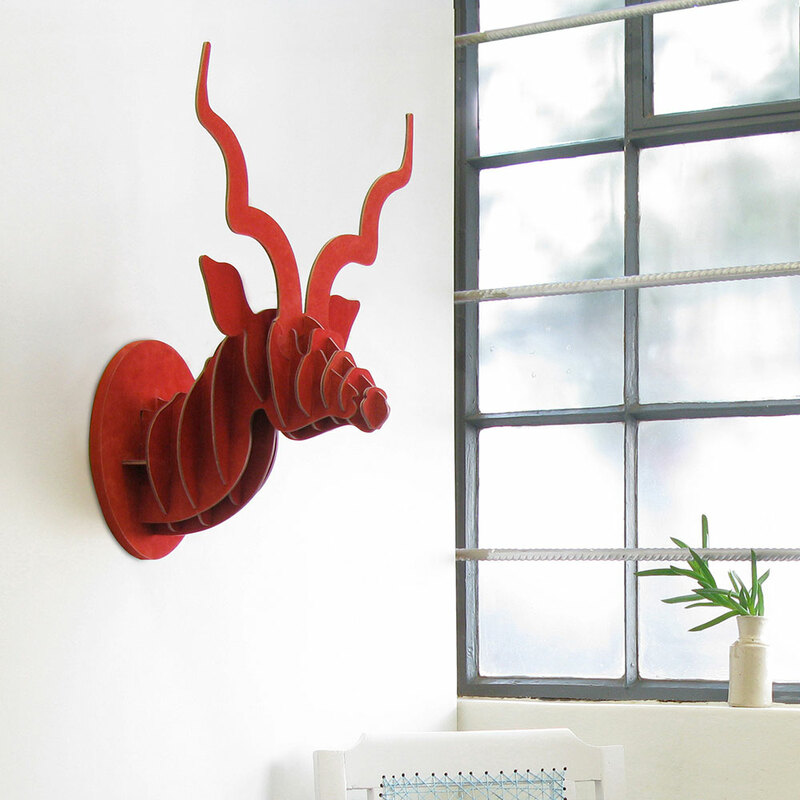 Red Suede Wall mounted kudu head wall sculpture. 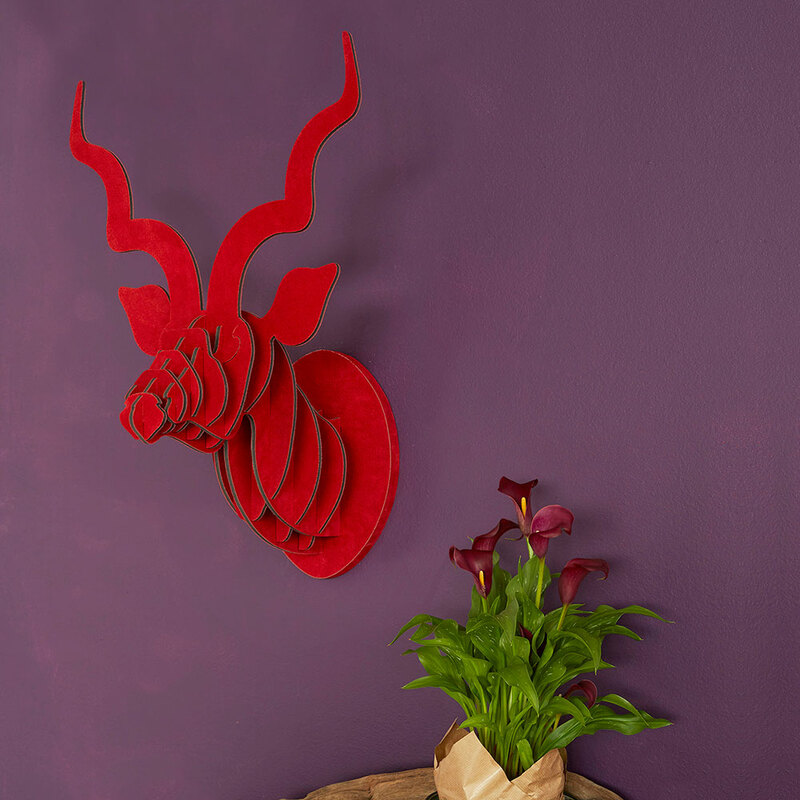 A stunning 3Dimensional kudu head covered with beautiful red suede. Guaranteed to deliver a striking style statement in your home. Made from recycled shanks board and tastefully clad in beautiful red bovine leather. This wonderfully clever piece of 'Afro-chic' wall art will look good in so many of the interior spaces of your home. At AuraDecor, we are very excited to have procured these gorgeous artistic wall sculptures which form part of our Uniquely African range.